In 2015/2016, there were 118,000 slips and trips in workplaces around the UK. We can’t know all the stories behind these statistics, whether they were caused by discarded items, slippery surfaces or carelessness. What we do know is that these kinds of accidents account for over a third (36%) of employee injuries and they continue to occur. Those who have a responsibility for health and safety are having to work as hard as ever to reduce these incident and one very simple thing that could help them in their struggle is the humble sign. Ensuring the safety and wellbeing of employees is not only important, it is also a legal obligation. 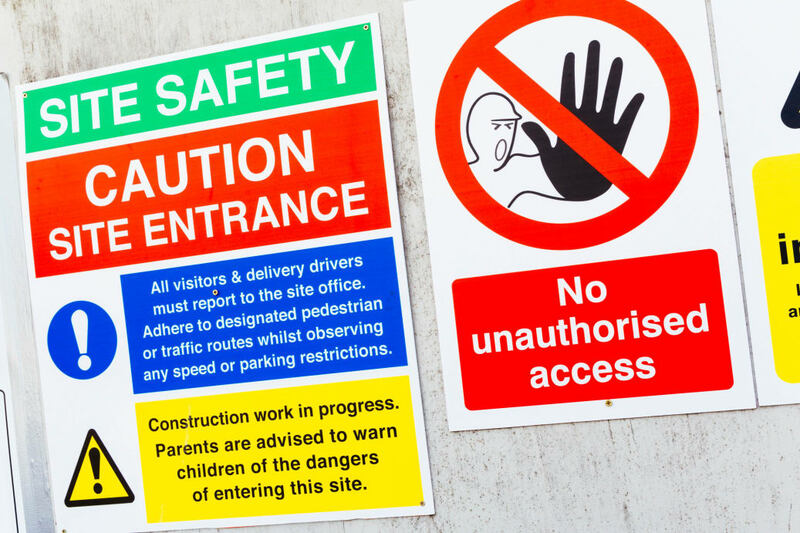 The 1996 Health & Safety Signs and Signals Regulations require employers to ensure safety signs are provided and maintained in circumstances where there is a significant risk to health and safety and help reduce that threat. When deciding where signs or labels should be placed, it is important that industry standards are followed. The same set of regulations recommend that in order for signs to be effective, they must not be adversely affected by the presence of another sign that interferes with the visibility. Placing too many signs within close proximity must be avoided or there will be a danger of confusion or important information being overlooked. If circumstances of the risk change and a threat is no longer present, then the sign should be removed in order to prevent misleading employees and avoid overcrowding. Signs must also be properly maintained, washed, resurfaced or re-fixed securely, to ensure they remain visible. Having the right tool to hand, such as one of DYMO’s specialist labellers, will help you to meet these regulations. Internet-enabled devices can be updated with standardised and compliant labels, even when new regulations are introduced. 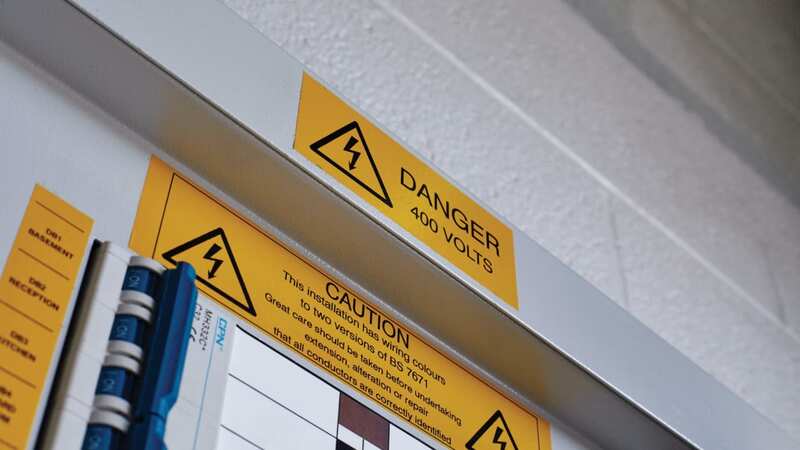 Plus, with specialist industrial labellers, extra-strength adhesive and durable labels mean its signs are able to withstand the harshest environments and remain compliant and visible. While a discarded shovel can seem rather innocuous compared to some of the hazards you find in industrial settings, such seemingly small hazards can and do cause injuries. Likewise, a stack of unsupported files or trailing wires in an office are the kind of hazards most people feel comfortable to walk past every day. However, when you consider that more than 30 million workdays were lost last year due to work-related injuries, there is a strong business case for implementing the necessary steps to reduce worker-caused hazards. One way to do this is through embedding health and safety into the core culture of the workforce to ensure everyone is acting in a safe manner. It can be challenging to generate a shared health and safety culture in a business, but there are a number of ways to achieve this. "If the organisation demonstrates that it takes issues of health and safety seriously, the chances that this mind set will rub off on employees is more likely"
Labels can be used by the people responsible for health and safety to raise the profile of hazards in a workplace, such as a hot tap, electrical sockets or even to mark uneven surfaces and changes in floor level. Beyond highlighting the immediate hazard, it will subconsciously help to further embed a health and safety culture amongst employees. This is important for protecting workers against hazards that can occur out of nowhere, such as a wet floor caused by an unexpected leak. Where there is a culture of safe working, people will be alert to dangers around the workplace and will respond in an appropriate manner. That could be alerting someone to the issue or resolving it themselves. You can also use signs and labels to communicate ongoing health and safety reminders and changes. This could be either a reminder to wear the appropriate footwear to avoid falls, or it could be a way of exhibiting the rationale behind changes in the business. If staff feel informed, educated and in the loop about health and safety, this will help to further generate a shared health and safety culture. But what can be done to address individual behaviours? This is where the organisation plays a key role, as you can’t legislate for behaviour. If the organisation demonstrates that it takes issues of health and safety seriously, the chances that this mind set will rub off on employees is more likely. The majority of trips and falls in the workplace are caused by obstructions in walkways and acting to prevent these types of accidents can be simple and cost effective. If employees are encouraged to adopt a ‘see it, sort it’ attitude, this will help employees to take note of the safety issues in the workplace and abide by the regulations that help prevent cases of injury. It is important that employers ensure employees are aware of and understand the meaning of safety signs that are seen during their work, including providing training where necessary. Although most safety signs are self-explanatory, employees (particularly new, young or inexperienced ones) may be unfamiliar with the meaning of some of the less commonly used signs. It is therefore important that the meaning of any sign is clearly explained. "The shape of each sign must be in accordance with the industry regulations and these standards must be retained in order for the sign to present its associated message"
It may be useful to supplement the sign with text to counter any misunderstanding, especially when introducing a new sign. Remember to use complementary wording to reflect the sign. For example, if a mandatory sign is being used, ensure that the text describes that the nature of action is mandatory, using the word ‘must’, rather than ‘may’. This will avoid any confusion with the purpose of the sign. Another way of ensuring signs communicate effectively is through colour coding and educating employees so that they are familiar with the specific meanings of each colour. For example, if employees approach a yellow sign, then they must know that they need to adapt their behaviour to take precautions and be careful. Or similarly, if they approach a blue sign, employees must know that they have to take a mandatory action such as wearing protective equipment. This is easily done with tools that have coloured tapes which can easily be changed even after producing just one label and which also provide colour screen print previews. Education is also necessary for understanding the shapes of safety signs. The shape of each sign must be in accordance with the industry regulations and these standards must be retained in order for the sign to present its associated message. This consistency also helps with ensuring employees understand and are familiar with the meanings of the sign when there is a slight difference in meaning. For example, the round sign containing a black pictogram with red edging is a clear prohibit sign, whereas a triangular sign is a warning. These meanings must be understood in order for employees to remain safe. As well as colour screens, today’s best label makers allow you to search through a number templates to meet most-used scenarios, or create your own label on a colour to suit the situation you’re managing. These templates reduce label making time and mistakes, which are two of the biggest frustrations of facilities managers. Taking steps to redesign processes is often a worthwhile investment. In order to save time, you can create sign and label templates that fit within the frameworks of your organisation and provide the relevant individuals with these for ease. It is also a good idea to invest in the right tools for effective labelling solutions. Durable, resistant and long-lasting labels will be a smarter option than something more temporary, which requires a level of re-labelling. Take time to understand the options available on the market and select the best tools that suit your needs. The right tool should support you in your role, making correct health and safety easier. DYMO’s product range is extensive, offering a range of products for the office, warehouse, worksite, home and the classroom. From simple embossers and manual label makers to industrial portables, cutting-edge software and online services. 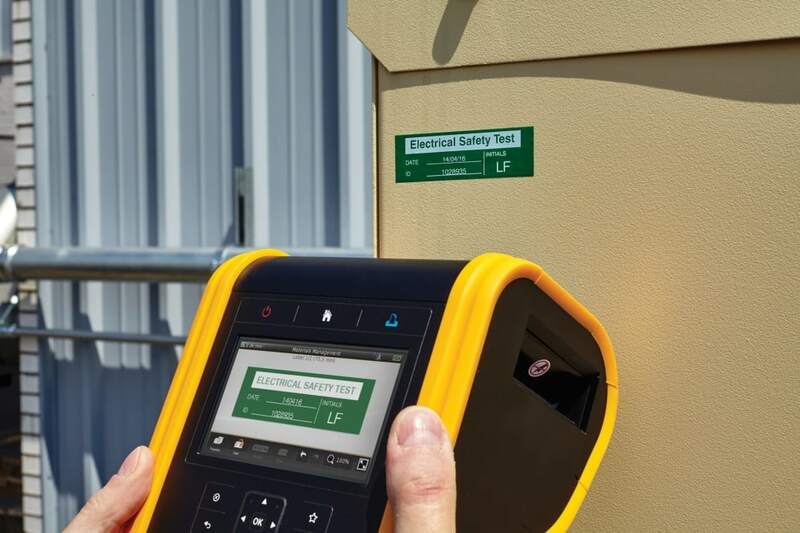 Known as one of the most trusted brands in the market, DYMO offers labelling innovations that help to keep workplaces safe and productive by giving engineers and maintenance specialists’ simple and easy to use products that save time and stand the test of time. Increasing the visibility of labels in the workplace is a good way of raising their profile. Those that are colourful and bright will always stand out and be noticed. Communicating any changes being made to labels is another example of best practice, as it is an easy method to inform employees of changes to policies. If you are responsible for health and safety you must communicate the importance of identification – particularly the critical role labels have to play in terms of identifying hazards. Trip hazards can be clearly marked. Machinery can be flagged as being dangerous or as posing a risk to people. One approach doesn’t necessarily work for every organisation, therefore it is important to address your workforce accordingly and think of the best possible options of making sure all staff are aware of why health and safety is an important duty. A combination of hazard signage, organised training and clear policies on health and safety create joint responsibility of the organisation and its employees. Stressing this duel effort can help ensure accidents are not caused by a lack of sense or reckless behaviour from individuals, as employees become aware that they are held accountable for keeping themselves and their peers safe. For some professionals, signs are installed to comply with rules and regulations. But it is important to remember why those rules and regulations were created in the first place. You need to engage deeper than simply abiding by rules so that you can proactively avoid work-related injuries. Health and safety in the workplace is more than a set of rules, policies and regulations. It should be a shared culture and responsibility. Whether or not you use labels, training or management to embed the health and safety message, it is something individuals should be engaged with at all levels to ensure risks, whether big or small, are kept to a minimum.